Just off Broadway you’ll find BernBaum’s tucked away in a mod antique shop and serving what has quickly become many locals’ favorite lunchtime treats. It’s hard to say exactly what style of food BernBaum’s serves, but some have called it a ‘Nordic-Jewish deli’. That’s probably because they serve items like smoked brisket, sauerkraut, Wisconsin brick, and German mustard all on the same sandwich, and relish (pun intended) in crazy combos on their bagels and small plates as well. If you’d rather replace your meal with a shake, Fargo has something for that, too. Several shops across the area serve delicious teas and meal-replacement shakes and smoothies. In fact, there are so many, we can’t list them all here. Just do a quick search for ‘shakes in Fargo, ND’ and you’ll be on your way to a great, healthy lunch option. 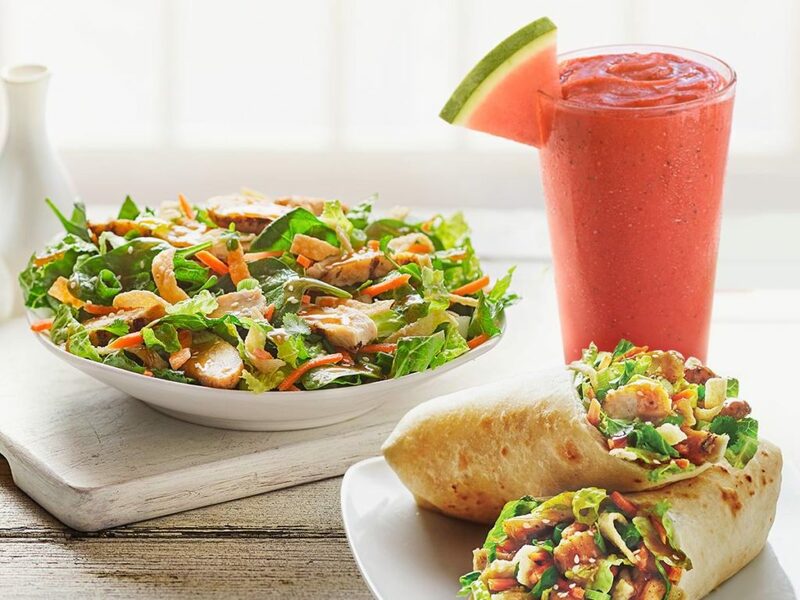 Wraps, chicken and veggie bowls, flatbreads, and sandwiches cover the food side of Tropical Smoothie Cafe. Its namesake smoothies, though, are the real draw. Tons of flavor combos, superfood options, and the choice to add whey, soy, or pea protein, probiotics, vitamins, and matcha make them a healthy meal in and of themselves. You can also top up the smoothies with almonds, peanut butter, chia seeds, spinach and kale, whole grain oats, flax seed, or ginger… did we mention there were tons of options? 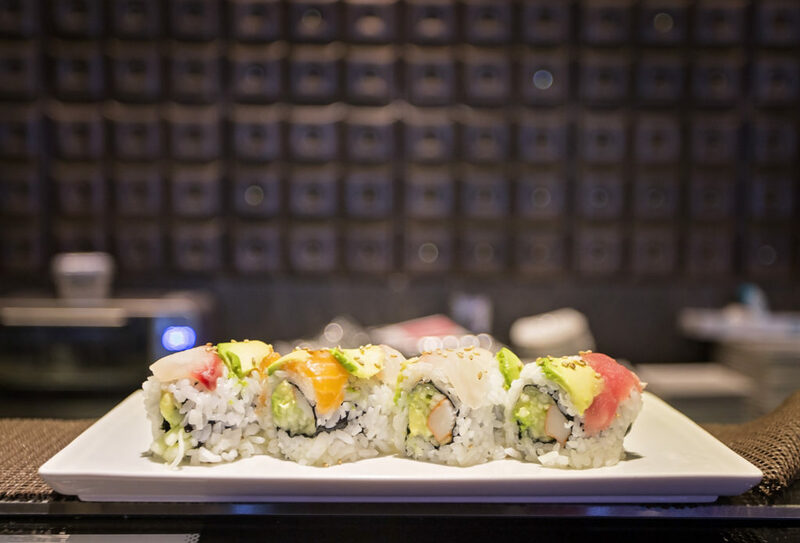 Fargo is bursting with sushi restaurants. Downtown you’ll find Wasabi, which is connected to a ramen and noodle shop in case everyone in your party isn’t a big sushi fan. Or go the all-you-can-eat route at Izumi Sushi & Hibachi in South Fargo. Though we have to admit a buffet of sushi may not be the healthiest, it’s amazing value for money. Nearer West Acres Mall are Osaka Sushi & Hibachi, Kobe’s Japanese, or Samurai… basically if you want a sushi fix for dinner, Fargo has you covered. Power Plate Meals specializes in ready-to-eat, pre-packaged meals with tons of health benefits and ‘pronounceable nutrition labels’. The menu changes every two weeks to keep it fresh and interesting, so you can stop by their West Fargo or South Fargo location, OR have them deliver it to you! Check out their menu online for calorie, carb, protein, and fat information, and place your order right then and there. 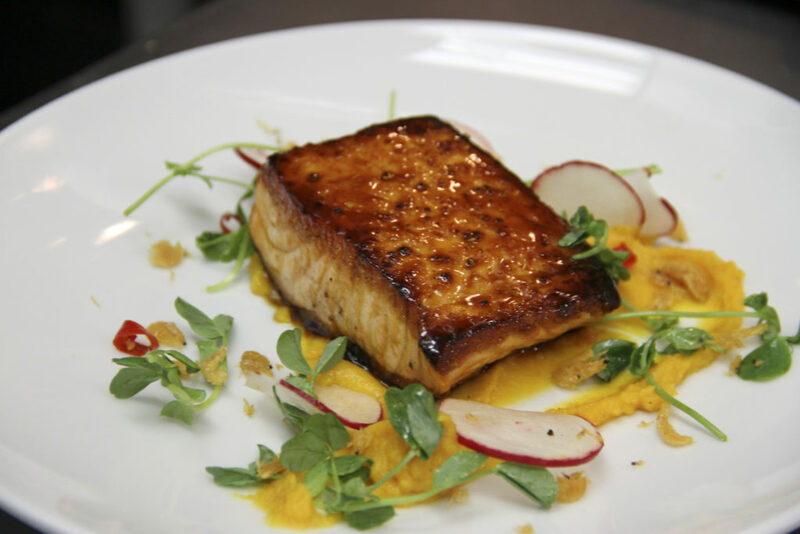 Luna makes things fresh, sourcing local ingredients and changing their menu frequently based on availability. They cater to vegetarian, gluten free, and vegan diets for many menu items. You could spend your whole day here, sipping coffee in the morning until lunchtime, and staying until evening for dinner and a wine and cheese plate (one glass of red is good for you, right?). 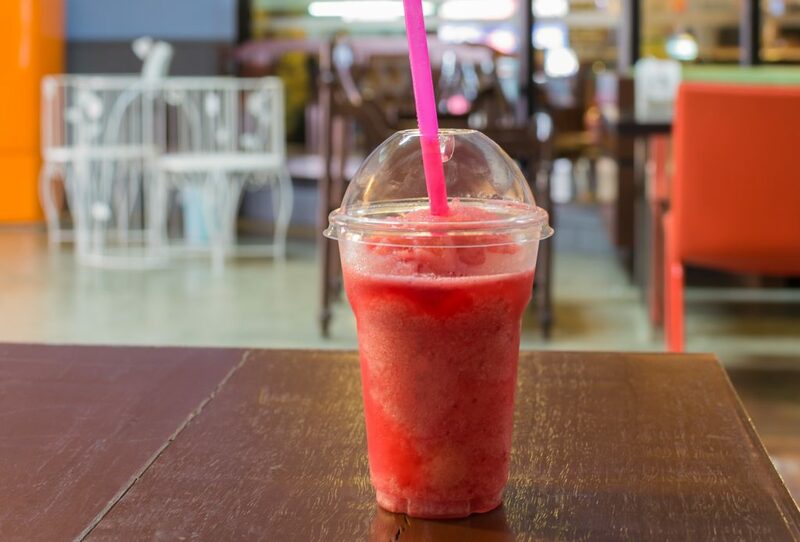 Another smoothie option, this local business also specializes in healthy juices, Acai protein power bowls and shots of wheatgrass – the equivalent of which is 2.5 pounds of raw organic veggies. 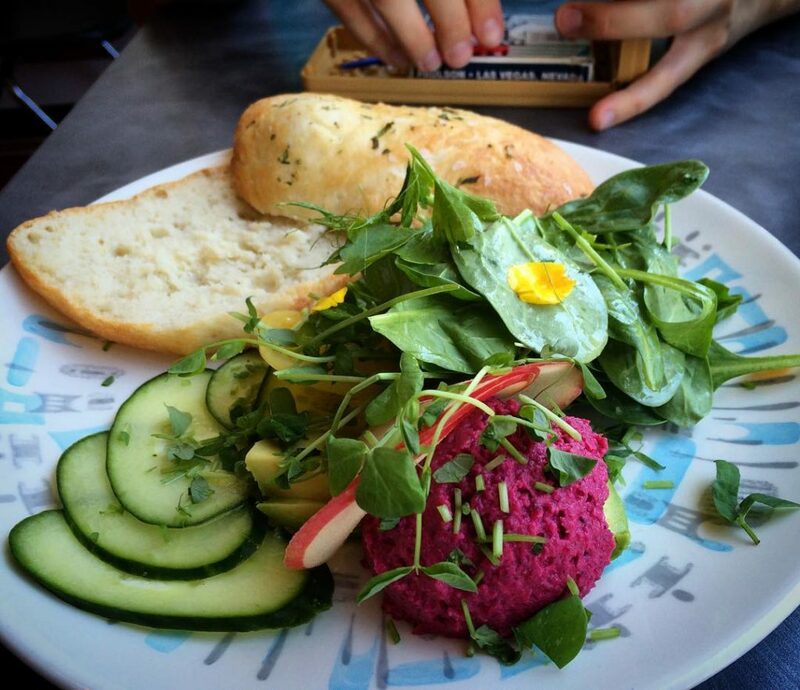 If you like green or healthy things, you’ll probably like it here. This downtown food co-op is locally owned and provides healthy, sustainable food – most of which has been locally sourced. For a quick picnic lunch or grab-and-go snacks, this is the place to shop. They have a rotating deli menu and a soup menu, plus a community room where you can stay and eat… so it’s less like a grocery store and more like a farmers market. 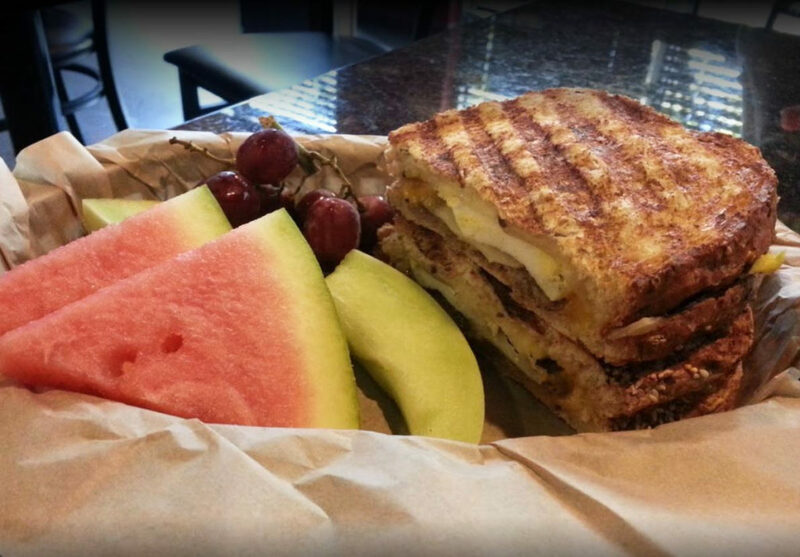 New salads, paninis, soups, and sandwiches greet you at the Cracked Pepper, whose menu changes daily. It’s a pretty safe bet that you’ll never get bored of the food in a place like this. Eating out can get tiresome without healthy options in the mix. Hopefully this list will give you great places to eat in Fargo that leave you refreshed and full.